You’ve employed a real estate agent, established a listing price for your property and put your house on the market. Several buyers have attended showings, and one or two have been highly complimentary about your home. Sooner or later, you’re going to get a buyer that’s interested enough to make an offer. The problem is, when the offer arrives in your agents’ email, it’s not entirely what you were expecting. Perhaps the price is too low, or the offer is so stuffed with contingencies you fear that you will never reach closing. Is this the end of the road? In most cases, it’s actually just the beginning of a successful transaction. Negotiations and counter-offers are a normal part of the home selling process. With a little to and fro, you can soon reach a deal you’re happy with. Here’s how you get there. Before you can make a counteroffer, you need an offer. A buyer makes this by filling out a standard document called a residential purchase agreement. Don’t let the name confuse you. The pre-printed “contract” is not legally binding until both parties agree to its terms and sign the contract in evidence of this fact. Until you sign, the document is simply an offer. If you like the offer, you can accept it by signing the offer document. At this point, the offer turns into a binding purchase agreement. Neither you nor the buyer can back out of the deal unless the contract allows you to do this, for example, if the buyer’s home inspection throws up material repairs that the buyer is not willing to take on. In most cases, the original offer from the buyer is not acceptable. You now have two choices: reject the offer outright or make adjustments to it. This is known as a making a counteroffer. Like an offer, the seller’s counteroffer is made on a pre-printed documented called, plainly, a counteroffer. – bring forward the date by which the buyer has to satisfy acceptable contingencies, for example, by insisting the buyer approves a home inspection within 10 days of the offer being accepted. Counter offers always contain an expiration date, for example, 5 pm on the third day after the counter offer is signed. You can set the counteroffer to expire within one hour if you wish though it’s recommended that you give the buyer a reasonable amount of time to consider the terms you are proposing. If the buyer does not respond by the expiration date, the counteroffer expires. You have now fallen out of negotiations with that particular buyer. 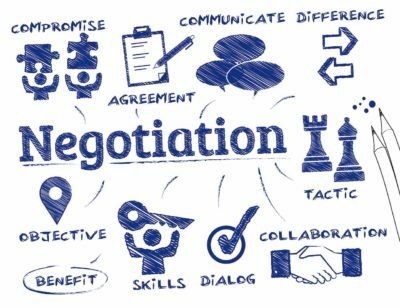 Those negotiations can only be reactivated by the buyer submitting a fresh offer. Counter the counteroffer. The buyer can make a second counter-offer, or even a third or a fourth until you reach a deal. 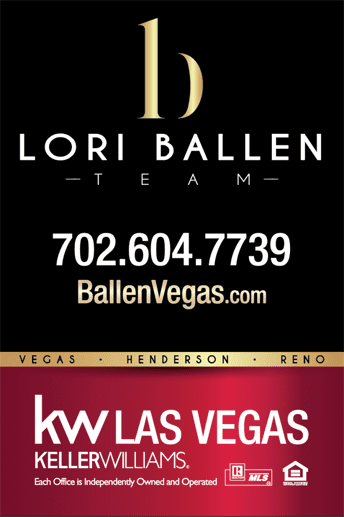 Multiple-offers are common in Las Vegas in a hot seller’s market where inventory is limited. Most well-advised buyers and sellers reach an agreement after one or two rounds of negotiation. Counter offers are where the rubber meets the road of the value you get from your real estate agent. They handle offers and counter-offers day in, day out and will have a good handle on whether a buyer’s offer is good enough as it stands. Multiple factors come into play here. Obviously, if you have a price expectation, your real estate agent will do her best to meet that expectation. If the offer is clearly unreasonable, your real estate agent invariably will advise you to submit a counteroffer. Conversely, in a seller’s market with a shortage of suitable homes for sale, the buyer may be prepared to hang in through two or three rounds of counter-offers to secure their dream home. In this scenario, you can probably afford to push for your perfect deal. A second factor your real estate agent will investigate is the buyer’s motivation. If the offer is unacceptable and you need to counter, what type of counter offer will best hit the buyer’s buttons? A counter offer that raises the price, or one that keeps the price lower but reduces the closing costs paid by the seller? The net dollar price of the two counteroffers may be the same, but the buyer may find one deal more palatable than the other. Thinking of selling your house? Let’s start a conversation even if it’s early. We have expert real estate agents across the nation happy to discuss your plans. Feel free to use our 15 second Home Value Estimator and take a look at what your home may sell for today. Call 702-604-7739 or use the form below. You’ve employed a real estate agent, established a listing price for your property and put your house on the market. Several buyers have attended showings, and one or two have been highly complimentary about your home. Sooner or later, you’re going to get a buyer that’s interested enough to make an offer. The problem is, when the offer arrives in your agent's email, it’s not entirely what you were expecting. Perhaps the price is too low, or the offer is so stuffed with contingencies you fear that you will never reach closing. Is this the end of the road? In most cases, it’s actually just the beginning of a successful transaction. Negotiations and counter-offers are a normal part of the home selling process. With a little to and fro, you can soon reach a deal you’re happy with. Here’s how you get there.